This site is owned by R. Dale Abshire Texas Insurance license # 1008184. The information contained on the site has been verified without objection by Texas Insurance Commissioner Kent Sullivan and the Securities and Exchange Commission. Gov./AG Greg Abbott sucked up to Governor Bush and hid his criminal acts! Governor Bush was aware of Coopers and Lybrand's involvement in MONY's fraudulent financial statements and the looting of the company when he authorized the payment of $17,045 for Coopers & Lybrand to evaluate the Texas Teachers Retirement Fund's real estate portfolio and make recommendations. They recommended the sale of a building in Austin, TX that had a current value of $143,000,000 to Crescent REIT for $97,000,000. About the same time Crescent REIT paid $155,000,000 for MONY properties valued on MONY financial statements at double that amount. Crescent's stock jumped and Mr. Bush's not so blind trust that was managed by Crescent President John Goff suddenly became profitable. Mr. Bush then announced his run for the presidency and had his investments placed in T-bills. Commissioner Sullivan and the Senior Staff at the TDI have confirmed Gov. Abbott's part in covering up the MONY / AXA / PricewaterhouseCoopers Ponzi and swindle of the Texas Teachers Retirement fund. You can find the info at www.PWCSUCKS.com and in Blacklock's email account. During 1998 I provided you, Paul Gavia and AICPA President and CEO Barry Melancon information concerning the lack of independence by Coopers & Lybrand / PricewaterhouseCoopers LLP on the financial statements of the Mutual Life Insurance Company of New York, commonly and hereafter referred to as MONY. I also provided the sworn affidavit of CPA R. Larry Johnson detailing the results of NAIC examinations of MONY's financial statements. You also later received the December 2, 1998 letter from the Arizona Department of Insurance detailing the non-audit related financial transactions between Coopers & Lybrand and MONY that ....... according to your own Enforcement Office.... resulted in the loss of "Independence". You also have the April 21, 1994 letter from the Florida Office of the Treasurer Bill Nelson to MONY Chairman Michael I. Roth detailing illegal investments and violations of over 1.3 billion dollars. You may find a copy of this letter on my www.MONYBUSH.com web site along with other information on the www.pwcsucks.com site.. I also confirmed with TSBPA Enforcement that MONY's financial statements lack of the certification of an "Independent Auditor" will continue until they are audited by someone other than PricewaterhouseCoopers LLP. MONY was taken public in 1998 by PricewaterhouseCoopers LLP with the fraudulent financials and actuarial reports. Five years later PricewaterhouseCoopers LLP stood on both side of the MONY/AXA sale that resulted in the comingling of assets that in turn caused AXA's financial statements to be conflicted and lack the proper certification which would later cause the same problem with Protective Life's financials and possibly the Japanese company that now owns Protective Life. I have noted that Paris-based AXA aims to raise billions of dollars in the first half of next year by selling a minority stake in the combined life-insurance and asset-management company in the U.S. Please tell me what you plan to do about this matter. I would like to tell my children what happened to their money. I have noted your office reviewing the information concerning the AXA/MONY/PwC Ponzi that is contained on the www.TAMUEX.com web site. I have held a Texas insurance license since 1971 and have (as required by Texas law) reported this to enforcement agencies and elected officials. I was present when State Rep. Lon Burnam's attorney informed him that serious criminal offenses had occurred and that V&E attorneys Hamel and Sloan should be prosecuted for their part in the looting of MONY. Mr. Burnam as well as State Senator's Chris Harris and Florence Shapiro could not help policyholders obtain an accurate financial statement for the company. Mr. Bernum said he couldn't say anything about V&E because they had given him $5,000 because he was on the insurance committee. They like my State Rep. Vicki Truitt ( featured at www.TEXASTHUGS.com ) had no problem in graciously accepting political contributions form Vinson and Elkins and looking the other way while 10's of thousands of Texans were duped into buying products that illustrated double digit returns on nonexistent assets. Just like R. Allan Stanford and Bernie Madoff did because regulators kept kicking it down the road. You may already be aware of this matter as I might have copied you when I wrote about Pete Wassdorf's part in this mess. I will enclose part of letter referencing him and other information. I would appreciate your taking a look at the above referenced web sites and letting me know if you can help. Thank you in advance for your help. Please feel free to contact me at 817 946-8097 or email rabshire@aol.com. Beginning in 1995 I reported, as mandated by Article 1.10d of the Texas Insurance Code, suspected fraud in the business of insurance and asked for help for policyholders to the Texas Department of Insurance and to Governor George W. Bush concerning the fraudulent financial statements of MONY, the looting of the company and the PONZI insurance contracts that were used to defraud the public. 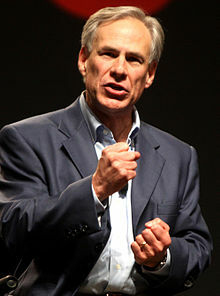 Mr. Pete Wassdorf, who became General Counsel to Texas AG Greg Abbott, responded on behalf of Governor Bush that they could not help because it would be inappropriate for the governor of Texas to contact the governor of New York and interfere with the operation of a New York domiciled company. Apparently Gov. Bush pulled Coopers & Lybrand's short hairs! Enclosed is additional information for your investigation. Most likely you will find former Governor George W. Bush's not so blind trust investments a the heart of Texas' reluctance to take any action over MONY's Ponzi. Mr. Bush was aware of Coopers and Lybrand's involvement in MONY's fraudulent financial statements and the looting of the company when he authorized the payment of $17,045 for Coopers & Lybrand to evaluate the Texas Teachers Retirement Fund's real estate portfolio and make recommendations. They recommended the sale of a building in Austin, TX that had a current value of $143,000,000 to Crescent REIT for $97,000,000. About the same time Crescent REIT paid $155,000,000 for MONY properties valued on MONY financial statements at double that amount. Crescent's stock jumped and Mr. Bush's not so blind trust that was managed by Crescent President John Goff suddenly became profitable. Mr. Bush then announced his run for the presidency and had his investments placed in T-bills. Both Governors Perry and Abbott have for many years known of the massive fraud by PricewaterhouseCoopers, Goldman Sachs, Vinson& Elkins, and AXA and have refused to take any action. By separate cover I will send you the information on the New York Department of Insurance and former Governor Pataki. Can you help get the Texas Department of Insurance to respond to the enclosed request? You may recall that I sent you the information about the MONY Ponzi when you were still Lt. Governor. I need to know where to file the almost $2,000,000 claim ( excluding the interest and expenses). Posted on the http://www.spitzerag/ web site are news articles concerning NY AG Spitzer's investigation of the fraudulent policies sold by MONY to residents of New York and Connecticut. New York policyholders received return of premium plus 8% interest on their policies. The same policies were sold in Texas. Texans got nothing and had to pay the fines and settlements for NY and Ct. Can you see that Texans are treated equally? I would like to have my policies rescinded and the 8% on all premiums paid just like New Yorkers! Please do not hesitate to contact me at 817 946-8097 or e-mail rabshire@aol.com with any questions or documentation. Your help will be greatly appreciated. I have not received a response to the enclosed letter to Commissioner Rathgeber that I sent via email on 12/16/13. Can you verify that she received the request and let me know if the TDI can help? You may contact me at 817 946 8097 or rabshire@aol.com. Enclosed is a copy of a fraud report I made to Commissioner Kitzman during 2011 that she refused to answer. I have held a Texas insurance license since 1971 and have complied with all Texas laws during that time. The Texas Department of Insurance was a willing participant in creating the fraudulent (Ponzi) contracts that were sold to unsuspecting citizens by Mutual of New York (MONY). If you would like a detailed report naming individuals both within the TDI as well as elected officials who personally profited from the fraud let me know. You may also get info from the AG's and Governor's offices as they have had the information for several years. If this request is not possible then I would like to make a claim against Texas for the loss. Is this something I would file with you or another Texas agency? I would appreciate your help in putting an end to this matter. You verification of receipt of this report of fraud is requested. You may contact me at rabshire@aol.com or 817 946-8097 with questions or documentation. Beginning in 1983 MONY introduced a series of products designed for retirement and high increasing death benefits based upon dividends that the company claimed were conservatively illustrated at a 7 to 7.5% return on the company's invested assets. The products were used in many different ways to illustrate educational savings plans, guaranteed retirement funding, pension maximization and elimination of the survivorship benefit for members of the military as well as replacement of IRA accounts. These policies were widely marketed as sound "investment grade" life insurance contracts accompanied by an array of company furnished sales literature and materials. Simply put, the products were a PONZI and the literature used to defraud the public was false. The dividends had been illustrated based on a 11 to 12% return on assets with inflated values as well as nonexistent assets. The company's financial statements were fraudulent, the company was insolvent and had no way of paying the dividends that had been illustrated. At least one million Americans were the victims of this fraud which is ongoing and worsens over time. It is crystal clear that both state and federal agencies took an active part in sheltering this fraud. The Securities and Exchange Commission has through FOI admitted that they can't produce an accurate, concise and properly opined financial statement for MONY for any time in the last 10 years. Effective February 1, 1991 MONY terminated my contract without cause. As a result of discovery in the ensuing litigation, which was settled to my satisfaction on the eve of trial in 1993, I became concerned for the safety of my pension and investments held by MONY. In an effort to assuage those concerns I obtained additional documentation from the New York Department of Insurance and agreed to work as a case consultant on several suits against MONY by other employees and policyholders that helped me secure additional information concerning serious criminal activity and a massive fraud on the public. The 1991 NAIC examination of the company (released in 1993) revealed more than $600,000,000 in illegal transactions. MONY's former assistant general counsel had been the Superintendent of the New York Department of Insurance from 1983 to 1991 when the fraudulent accounting and looting started. You may recall that during the Florida election trials the "Bush Team" named one of America's foremost accountants, Mr. R. Larry Johnson CPA, to testify as an expert witness. Coincidentally, Mr. Johnson had previously been called upon in 1995 to render an opinion on MONY's financial statements and review the N.A.I.C. examinations of the company. His sworn affidavit is posted at http://pwcsucks.com/id7.html for your review. It should be noted that he did not know that Coopers & Lybrand had been violating the auditor independence rules by selling financial instruments to the company on the side while issuing false opinion letters certifying MONY's financial statements that contained 100s of millions of dollars in fraudulent transactions nor was he aware of the Florida Department of Insurance investigation by current U.S. Senator Bill Nelson that revealed more than a billion dollar surplus shortage on the statements filed in Florida. The Florida letter to MONY's Chairman, Michael I. Roth is posted @http://www.MONYBUSH.com/. Mr. Roth who signed MONY's fraudulent financial statements is a former Coopers and Lybrand partner and is currently Chairman of the Interpublic Group of Companies Inc.
Beginning in 1995 I reported, as mandated by Article 1.10d of the Texas Insurance Code, suspected fraud in the business of insurance and asked for help for policyholders to the Texas Department of Insurance and to Governor George W. Bush concerning the fraudulent financial statements of MONY, the looting of the company and the PONZI insurance contracts that were used to defraud the public. 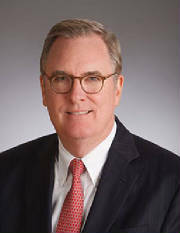 Mr. Pete Wassdorf, who General Counsel to Governor Bush and later to Texas AG Greg Abbott, responded on behalf of Governor Bush that they could not help because it would be inappropriate for the governor of Texas to contact the governor of New York and interfere with the operation of a New York domiciled company. After Senator Phil Gramm's office proclaimed him to be "powerless" to cause anyone to produce an accurate financial statement for MONY I contacted Senator Kay Bailey Hutchison and asked for her help with the financial statements and in moving the FBI along. I provided the Senator's office with a copy of the N.A.I.C. audit of the company and the letter from the FBI. Her office said they could help. Five months later the best they could do was provided me with another copy of the same N.A.I.C examination of the company that contained over $600,000,000 in illegal transactions and claimed the FBI could find no record of the letter they sent me or any investigation. Senator Hutchison was unable to explain the $687,000 MONY paid to her husband's law firm (Vinson & Elkins) that MONY failed to disclose on the financial statements as required by law. Senator Hutchison is also a former partner at V&E. Senators Kay Bailey Hutchison and Fred Thompson both refused to help with a Freedom of Information request for the orphan child of a dead fireman that held the Navy Cross. The request pertained to falsified expense vouchers being used to get money for illegal campaign contributions that I learned about while working as a case consultant on a suit by another MONY manager. I witnessed his admission to an attorney that he had done it with the blessing of two officers of the company. Vinson & Elkins was defending many of the lawsuits brought by MONY agency managers and employees. I obtained a number of sworn affidavits from court records alleging misconduct by 3 of V&E's attorneys. In Wassell v MONY V&E attorney Douglas Hamel named a dead man (John McCole) as a witness and V&E attorney Shadow Sloan then billed the policyholders of the company for a conference call with the corpse! You may recall that Webster Hubbell went to prison for fraudulent billings. The Texas Department of Insurance saw nothing wrong with the fraudulent billings. Jose Montemayor, who was the Texas Commissioner of Insurance, previously told me he saw nothing wrong with MONY's management using falsified expense vouchers to get money for gambling. "During mid 2002 the SEC fined PricewaterhouseCoopers LLP and PricewaterhouseCoopers Securities LLC $8,000,000 for taking 14 companies public with false financial statements"and then refused my many FOI requests to identify the 14 companies. MONY will be one of those companies and most likely the reason that Walter G. Ricciardi was brought to the SEC in early 2004 as the head of the Commission's Boston office and later as the Deputy Director of Enforcement in 2005. Now the SEC says the documents have been destroyed due to retention. Are there 13 other companies like MONY out there? During 2004 MONY was purchased by AXA with the full knowledge that MONY's financial statements were false and that PricewaterhouseCoopers, who stood on both sides of the sale, was not independent as stated in their opinion letters and had been responsible for the fraud in the first place. AXA CFO Denis Duverne also refused to provide the requested information to policyholders and shareholders. For brevity's sake I have posted a detailed history at http://www.GonzalesAG.com/ and the confirmation by U.S. Senator Bill Nelson at http://pwcsucks.com/. Additional information is available at http://www.SpitzerAG.com/ and http://www.MONYBUSH.com/ and http://www.TAMUEX.com/. Additionally you may want to contact Kathleen Sebelius to verify details of the Kansas Department of Insurance and the NAIC's involvement. She is featured at http://pwcsucks.com/id8.html and was fully aware of the regulatory effort to hide MONY's insolvency. I like many others purchased policies for retirement and financial security for my family. I relied on not only on the financial statements of the company but on the regulator system and my government to protect my interests. Now, nearing my 72th birthday, I find that my government is just as corrupt as the thugs who stole my retirement and placed me in a tax trap. A proper investigation of this is certainly warranted and I hope you will help as there is nowhere else to go. Your help will be greatly appreciated. Please do not hesitate to contact me with questions or for documentation. You may contact me at 817 946-8097 or email rabshire@aol.com. The Securities and Exchange Commission recently admitted that they do not have an accurate, concise and properly opined financial statement for The Mutual Life Insurance Company of New York and its successors for any time in the last 10 years. They also lied to me about the destruction of documents that I have requested under Freedom of Information. Attached is the letter to Chairman Cox. As a licensed insurance and securities agent I have had all the information contained on the web sites reviewed by both state and government agencies. They did review the information and made no requests for correction. and the PONZI is ongoing and MONY/AXA's financial statements are false! My elected officials ( Joe Barton, Kay Bailey Hutchison, Phil Gramm, John Cornyn, Gov. Rick Perry, AG Alberto Gonzales and former Texas Gov. George W. Bush) were unable to help due to person and financial conflicts. Can you help resolve this matter? I have the information and documentation on the web sites listed in the letter to Chairman Cox. The http://www.gonzalesag.com/ site has the most complete history of MONY. This afternoon I once again noted the SEC reviewing the contents on my web sites that contain information about criminal conduct by various elected officials and members of the SEC with regard to AXA and MONY. It reminded me that Linda Chatman Thomsen had not bothered to respond to my October 31, 2005 FOI request (copy attached). I recently testified in a Texas court that my sites had been reviewed without objection by the Texas Department of Insurance, the USDOJ and the Securities & Exchange Commission. I ask again that the SEC comply with the FOI request and state any objections to the information contained on those sites. If upon review the SEC determines that any of the content of the sites is incorrect I ask that you please let me know ASAP so that I can make the proper corrections. If I do not hear from you I will assume that you are in full agreement with the content. Your help with the FOI will be greatly appreciated. I have noted your promotion of Walter Ricciardi as "Deputy Director of the Division of Enforcement" for the SEC and wanted to verify with you that he in fact is the same Walter Ricciardi that I have featured on the http://www.PWCSUCKS.com/ web site. Mr. Ricciardi is directly responsible for your inability to produce or cause to be produced an accurate, concise and properly opined financial statement for The Mutual Life Insurance Company of New York and its successors for over 20 years. Mr. Ricciardi belongs in jail for his part in this ongoing cabal. Under Freedom of Information I request that you provide me with an accurate, concise and properly opined financial statement for the above referenced company, commonly referred to as MONY, for anytime in the last 10 years that the SEC will stand by. I also request that you provide me with any and all communications between the Securities and Exchange Commission and PricewaterhouseCoopers L.L.P. that relate to the lack of independence by PWC with regard to MONY's financial statements along with communications to and from MONY and AXA. I also request the information previously requested in the letter enclosed, (Under Freedom of Information I request the names of the 14 companies that were not named in the PWC action by the SEC listed below. ("In the Matter of PricewaterhouseCoopers LLP, and PricewaterhouseCoopers Securities LLC, Exchange Act Release No. 46216 (July 17, 2002) http://www.sec.gov/news/press/2002-105.htm"). I am also attaching a copy of a recent letter to Senator Bill Nelson relating to his part in the perpetrating of this fraud on the public. This is a fraud that was condoned and aided by the Securities and Exchange Commission. Please do not hesitate to contact me with any questions or clarifications of the requested information. You may also find it easier to simply tell the truth about this matter that has gone on far too long. I have now received the information pursuant to my Open Records request for the "complete investigative file of MONY." Included in the file is a copy of my November 15, 1995, "consumer complaint" to Mr.Bomer that he did not bother to answer. The file also contained a sworn affidavit signed by Ms. Alexis Daniels regarding the officer's "home theaters and stereo systems" along with other sworn affidavits by actuaries and CPA's that raise serious questions about the financial statements of the company. There was also a copy of the last audit of the company, which revealed $600,000,000 in illegal transactions. The TDI contended that the 1994 financial statements of the company filed in Texas were correct and that I should rely on the "unqualified opinions" of Coopers & Lybrand. The financial statements revealed a "CONFLICT" by Coopers & Lybrand (the Anthony Crane transaction ) and failed to disclose $687,000 paid to Senator Kay Bailey Hutchison's, husband's law firm. The Florida Department of Insurance found a $150,000,000 problem with the real estate on the 1994 statement. 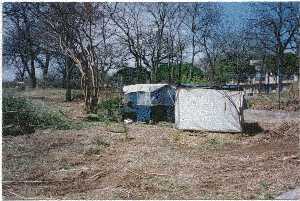 The $5,000,000 per acre "Hobo Condo" property was not involved nor was it included in the sale to Governor Bush's associates. As a matter of fact, this $113 /sq.ft. property is about the only real estate owned by the company that hasn't been written down on the 96 and 97 financial statements. Considering the strong rise in real estate values in 96 and 97, it leaves little doubt as to the correctness of the prior valuations of the properties. above statement. Further comment is forthcoming. The MONY financial statements that Senator Shapiro provided to you contained an opinion letter by PricewaterhouseCoopers L.L.P. that falsely claimed that they were "independent"! They are not in compliance with Article 1.15A of the Texas Insurance Code relative to independence (see attached letter from the Arizona Department of Insurance). They also issued unqualified opinions on the 1989, 90 and 91 financial statements that contained hundreds of millions of dollars in illegal transactions according to the 1992 audit by the New York, Oklahoma, Georgia and Nevada Departments of Insurance. You should not rely on the financial information contained in these statements! According to CPA reports in the TDI Fraud Unit files you should not rely on any of the statements after about 1982. From 1983 through 1990 is when MONY's former assistant general counsel was the Superintendent of the New York Department of Insurance. With regard to Ms. Paula Anderson's comments regarding the responsibility of the New York Department of Insurance to conduct examinations of the company, I am attaching a copy of a suspected fraud report that I made to the Indiana Department of Insurance (after members of the Texas Department of Insurance refused to respond to correspondence) that might help you understand where your child's money went. I hope that you don't object to my having used your policy as an example. If you need more information or I can answer any of your questions, please don't hesitate to contact me at 817 267-2020. Just one of many MONY investments! !